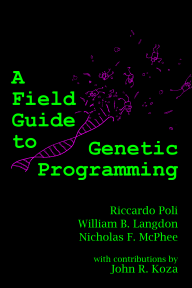 This book to provides a complete and coherent review of the theory of Genetic Programming (GP)). This unique overview of this exciting technique is written by three of the most active scientists in GP. All this without the user having to know or specify the form or structure of solutions in advance. GP has generated a plethora of human-competitive results and applications, including novel scientific discoveries and patentable inventions. This unique overview of this exciting technique is written by three of the most active scientists in GP.